We looked at our most popular travel blog posts for 2018. And were not surprised to find that Portugal and the Azores were at the top of the list. Our 4 weeks in Portugal was one of our all time favourite vacations. Lisbon and Porto were so different. But each drew us back more than once. 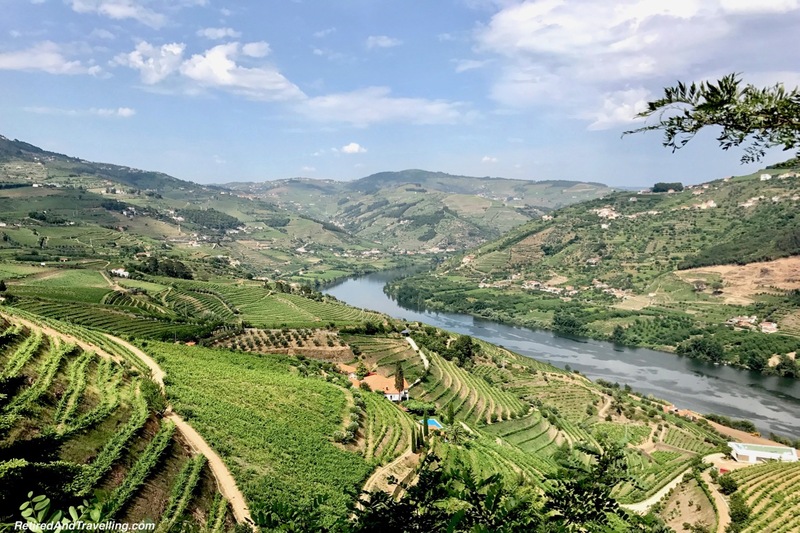 When we travelled up the Douro River Valley, we got an idyllic view of wine country. The small towns along the coast offered unique views at local life. And then there was the Azores. Such amazing natural beauty. We only visited 3 of the 9 islands. And we can’t wait to return. 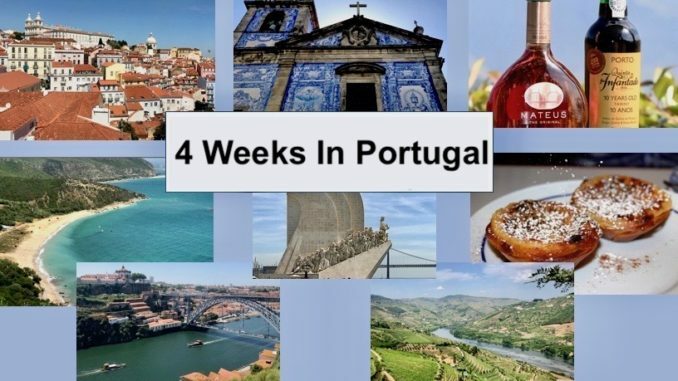 We got to experience so much on our 4 weeks in Portugal. Most people won’t have that long to visit. 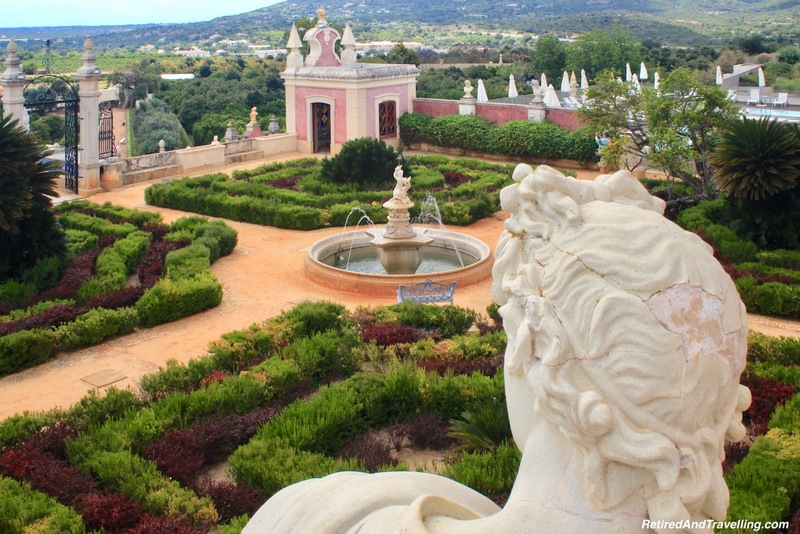 But this view of Portugal will show you why you need to return again and again. We went back to Lisbon three times in one year. There was always something new to discover. We loved to just wander the hills. And enjoy sunshine in the cafes. But there are also a lot of great sites to visit. Our hotel was high on the hill and it was great to wander down the cobbled Avenida da Liberdade. In the park at the top, there was a great view out over Lisbon. Beautiful old buildings lined the street. And when we reached the waterfront, we enjoyed the open plaza at the Praia do Commercio. 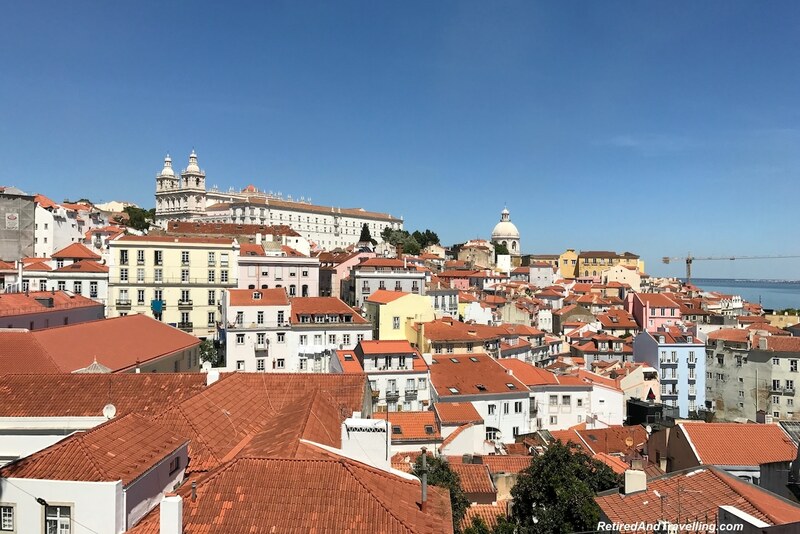 As we wandered the streets of Lisbon, we found so many great high viewpoints. They looked out over the city and the river. It was a great excuse to grab a tram for a ride up. 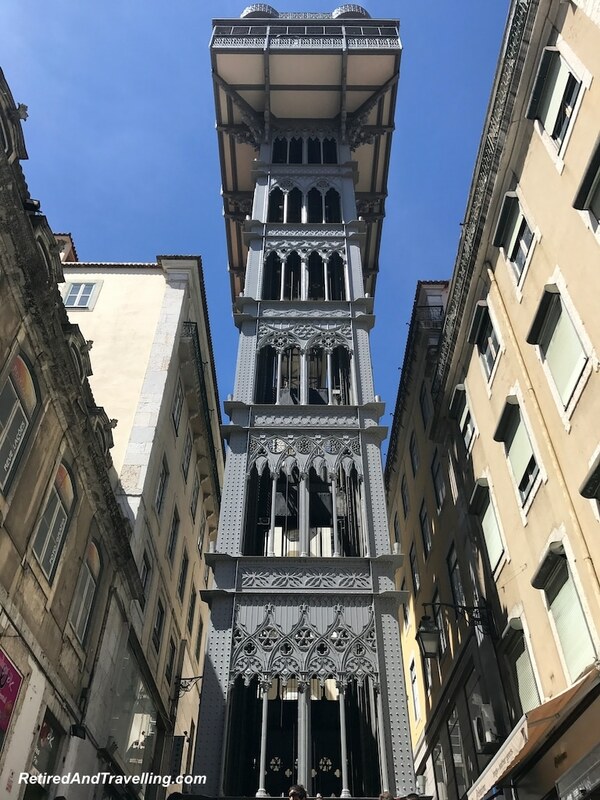 There were elevators in many spots around the city too. And the views were always worth the trip up. 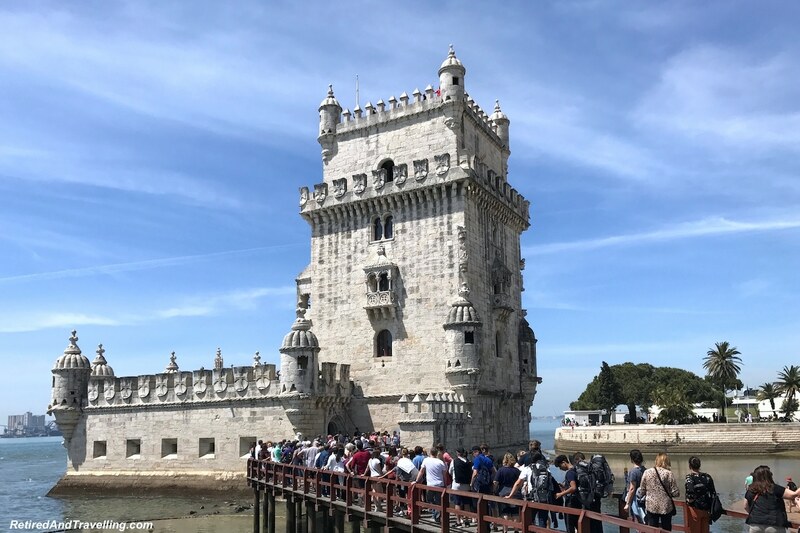 The Belem area of Lisbon was a special treat. 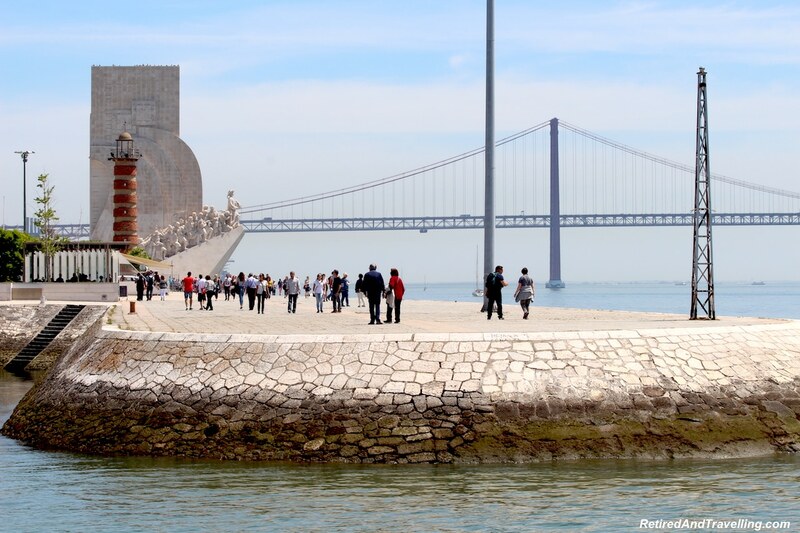 The iconic Belem Tower stands close to the Monument of the Discoveries. And if you want elaborate architecture, don’t miss the Jeronimo Monastery. 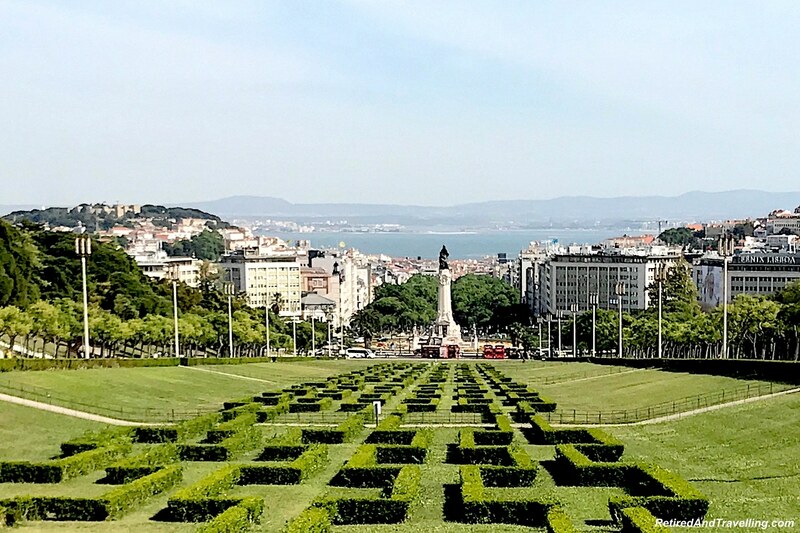 There were so many great spots to visit in Lisbon. Definitely one of the reasons we loved our 4 weeks in Portugal. 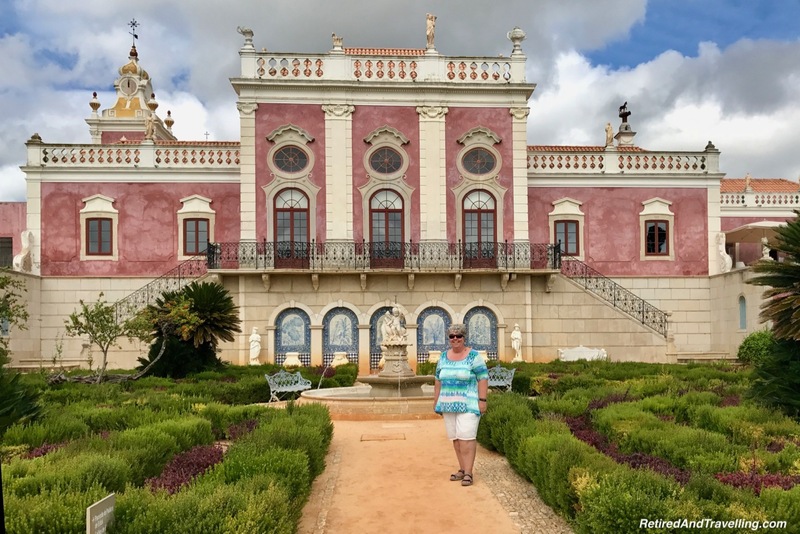 We never made it to the stunning Sintra with its colourful palaces. A great reason for us to return. 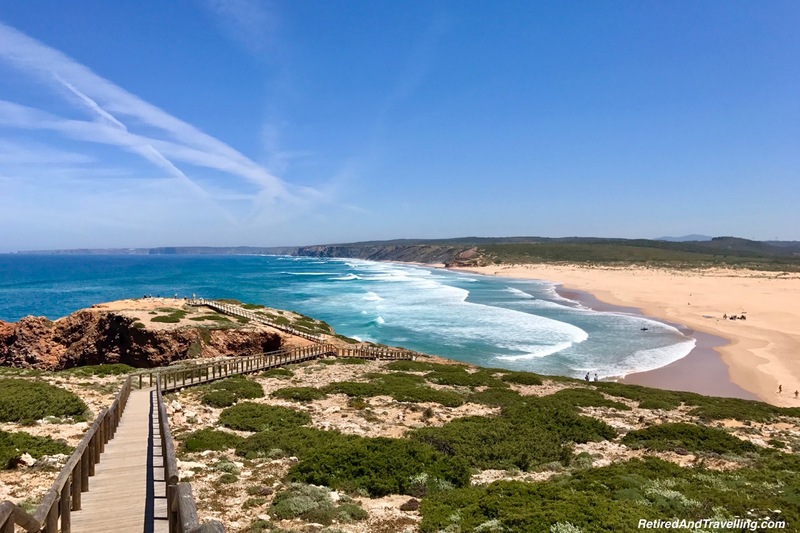 With so much to do in the big cities of Portugal, we balanced our weeks with beach time to relax. 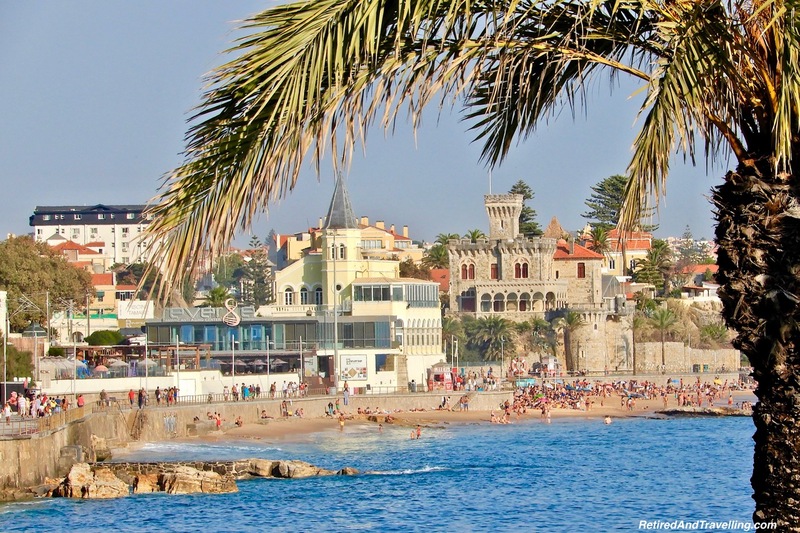 We were delighted when we found out that Cascais and Estoril were a short local train ride away from Lisbon. Miles of sand beaches and small towns lined the shore. This is a great stop if you visit Sintra high above the coast. 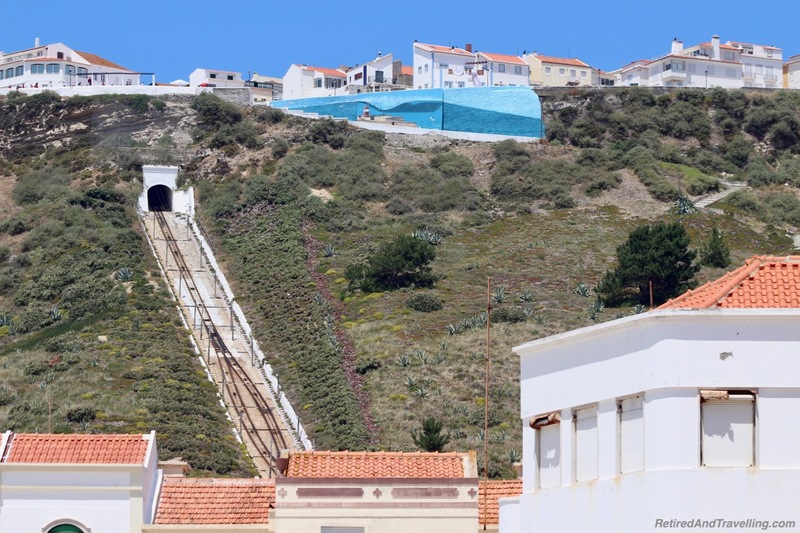 When we travelled from our stay in Lisbon to visit in the Algarve, the beach towns of Sesimbra and Setubal were great stopping points. 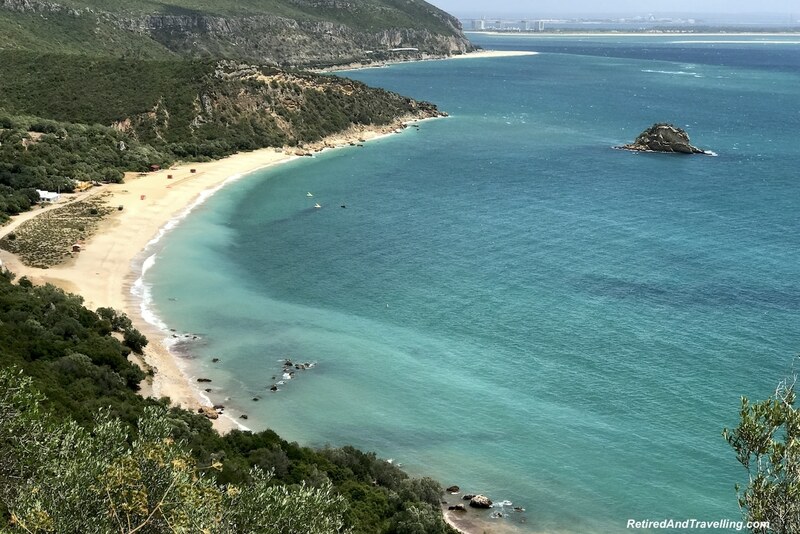 Along the way we also found many other world-class beaches at Portinho da Arrabida, Praia de Arrabida, Praia de Galaphinhos and Praia da Figueirinha. Each was more beautiful than the last. Most people head to the Algarve for beaches. Located on the south coast of Portugal, the Algarve offered us stunning cliffs with beach coves. And long stretches of beaches too. We only found one place in Portugal we did not like. But you will have to read the blog posts to find out where! But if you like your beaches and waves a bit wilder, a visit to the Azores will be your choice. Black volcanic beaches are everywhere on the islands. The waves are a beautiful sight to watch. Locals swam in the cold Atlantic waters. And maybe you will too! When we spent 4 weeks in Portugal, the beaches were a constant draw. 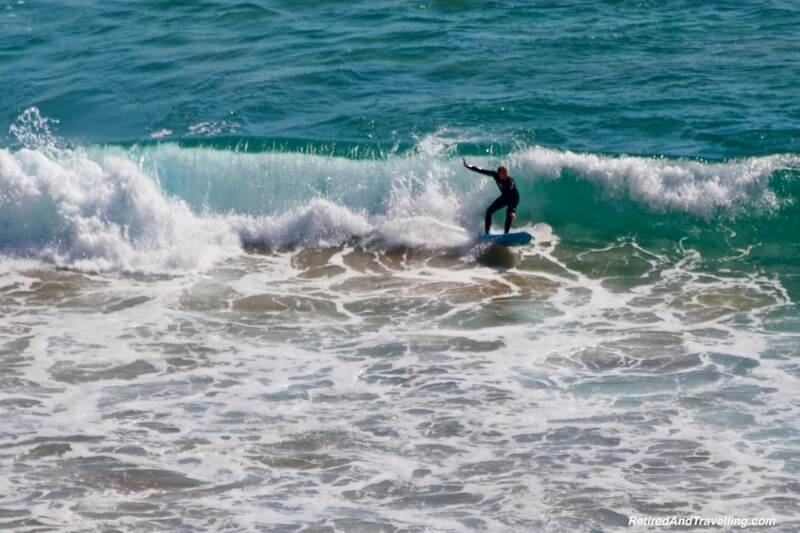 When we tired of lazy beach days in the Algarve, there was always something interesting to see and do. 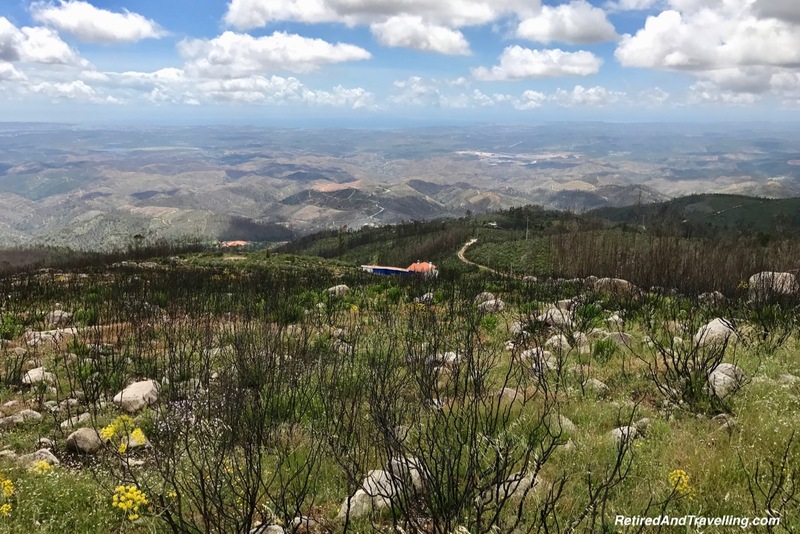 There were mountain towns around Monchique that provided stunning panoramic views. And the spas will provide a relaxing break. Fishing villages were a constant source of local views. Long drives along the Atlantic shores found us the surfing beaches. And beautiful lighthouses on the edge of cliffs. 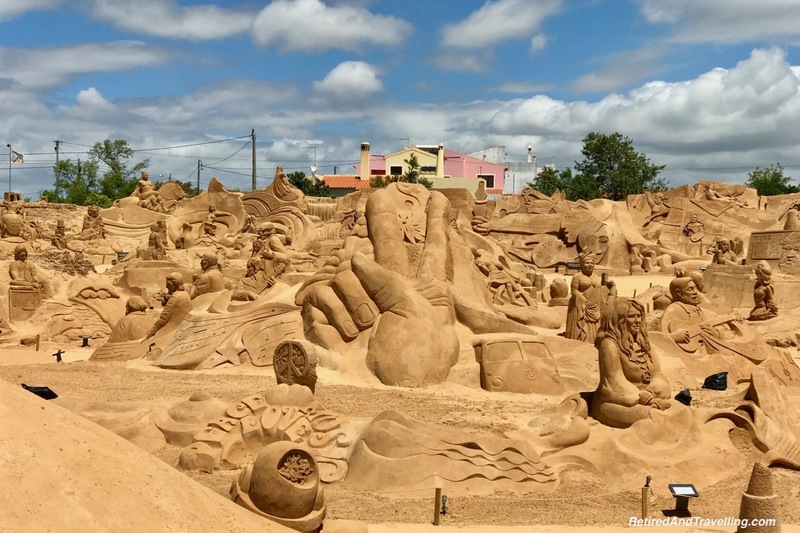 We enjoyed a chance to see a whole field of sand sculptures on a day trip in the Algarve. This is an annual event that is so much fun. And when we wanted a very unique spot to stay, we spent a few days in a palace in the Algarve. The common rooms were authentic and beautifully restored. But the rooms had every modern convenience. 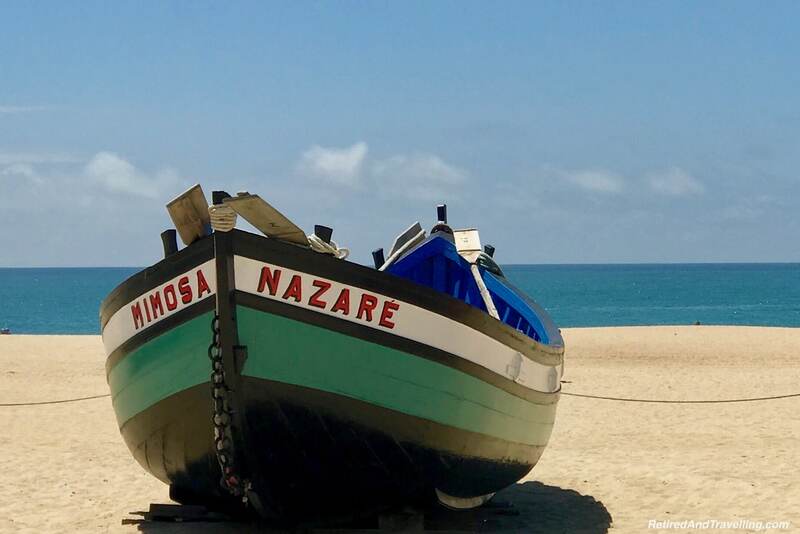 When we headed to the Algarve for a week, we found so much to see and do. Definitely a great stop on our 4 weeks in Portugal. 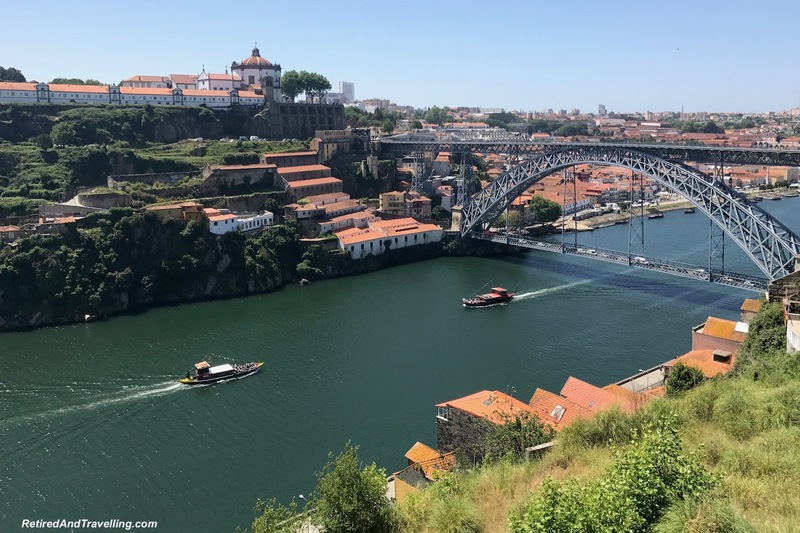 We loved the chance to visit Porto and enjoyed the art and architecture we found everywhere. 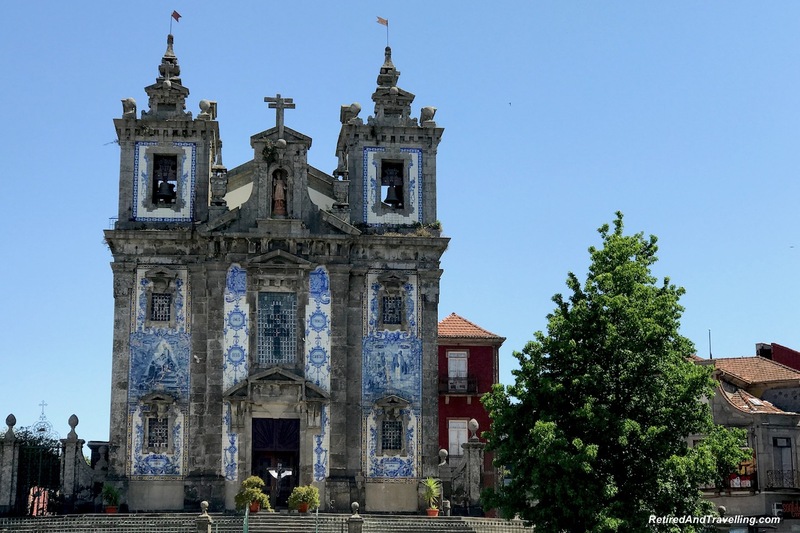 There was the greatest display of colourful Portuguese tile work on buildings and churches. 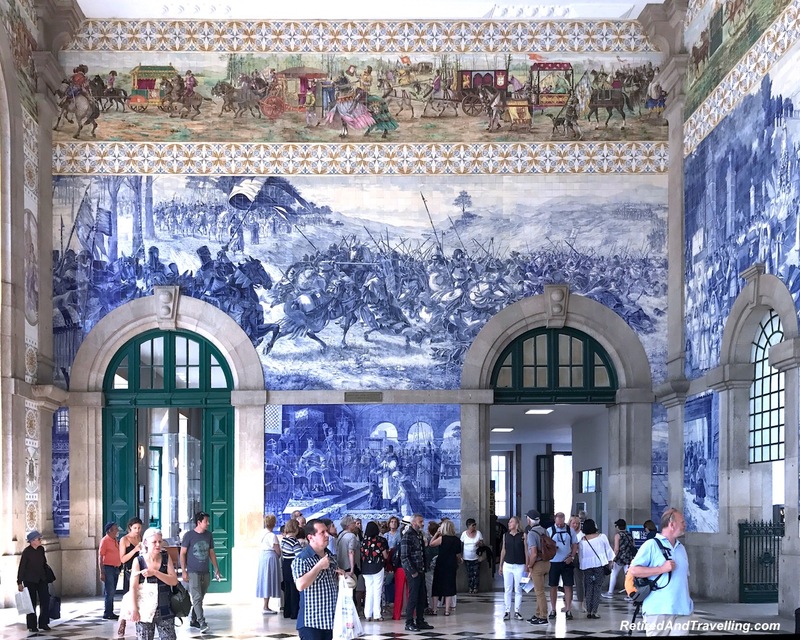 The train station in Porto was an amazing spot to visit for its tile artistry. 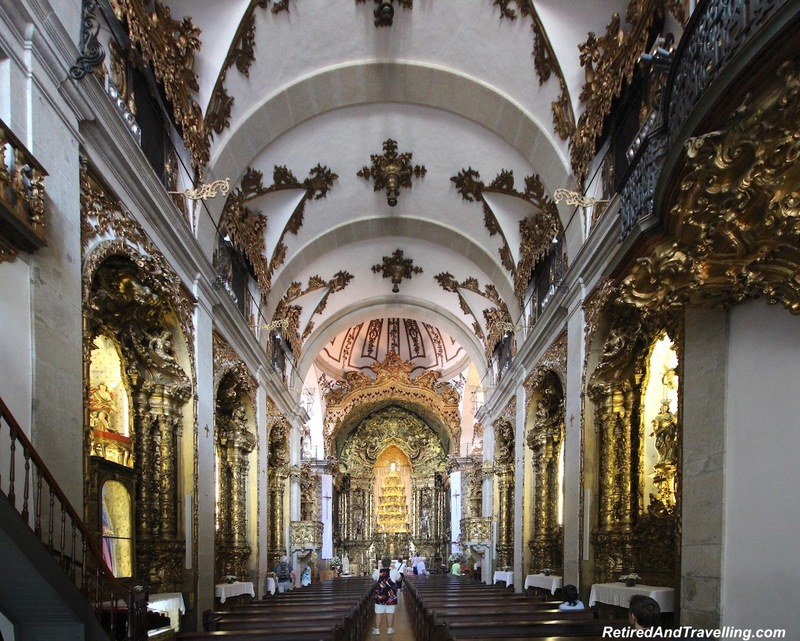 If the outside of buildings was beautiful, the inside of the churches left us breathless. 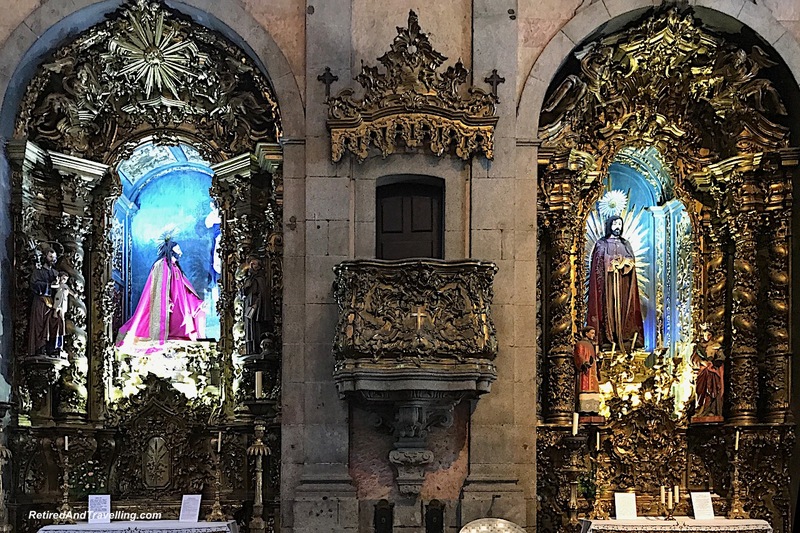 Detailed and intricate carving, statues and paintings made most of the churches look like art galleries. Everywhere we looked we found beautiful art and architecture in Porto. It is one of our favourite stops on our 4 weeks in Portugal. The Douro River flows right through the centre of Porto. When we stood high on the banks, we got the greatest views of this river city. 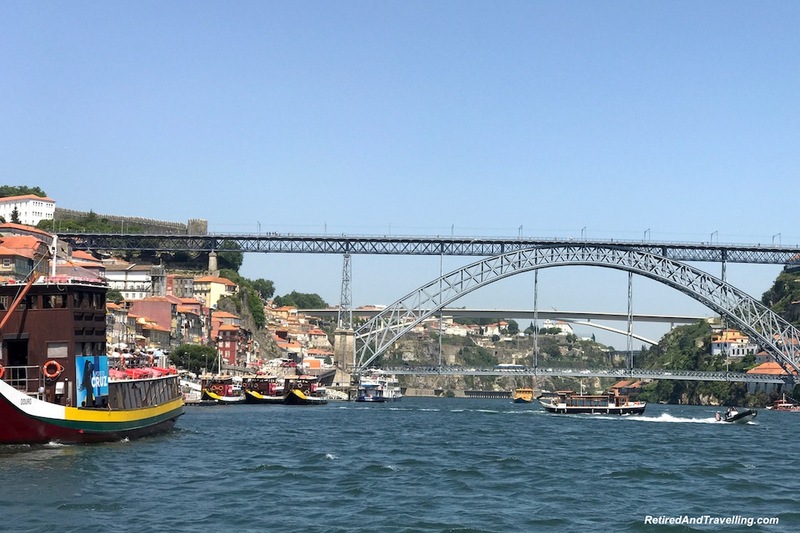 A Douro River cruise in Porto got us a great view of the variety in the bridges that cross the river in Porto. There were so many interesting sights on the banks. This is something we definitely recommend. 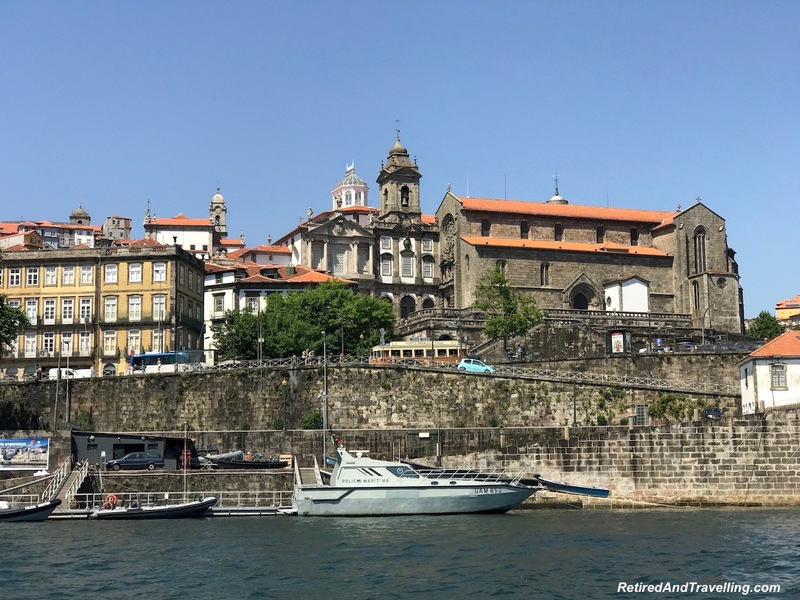 But many people get on the Douro River in Porto for a longer multi-day cruise up the Douro River. It is a great way to see the Douro River Valley. If you travel into the valley by car or train, you can also do a one day cruise of a small section of the river. We drove up the Douro River Valley and stayed high in wine country. It was a wonderful way to enjoy the view of the river valley. And explore the wineries and chateaus of the area. 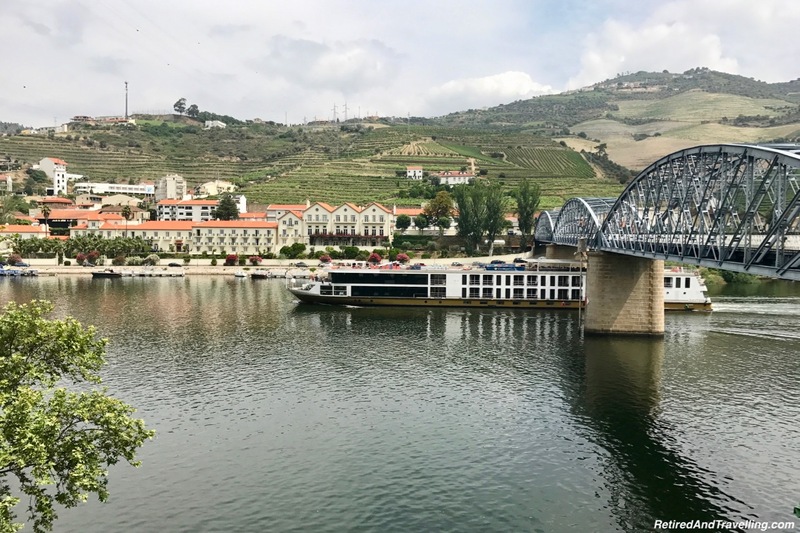 There are so many ways to enjoy the Douro River when you head to Porto. We were glad we stayed in the wine valley on our 4 weeks in Portugal. We were there when the grapes were just starting to form. I can imagine how great it would be to visit at wine harvest time. 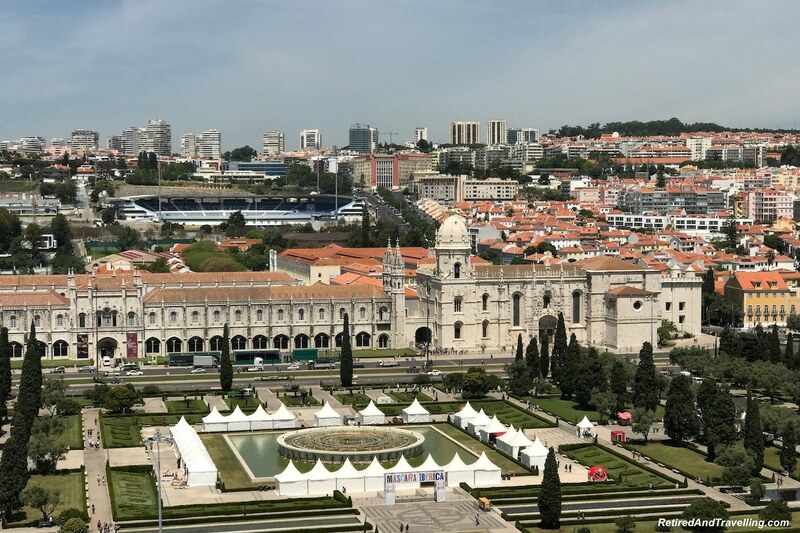 Most people head for the bigger cities when they visit Portugal. 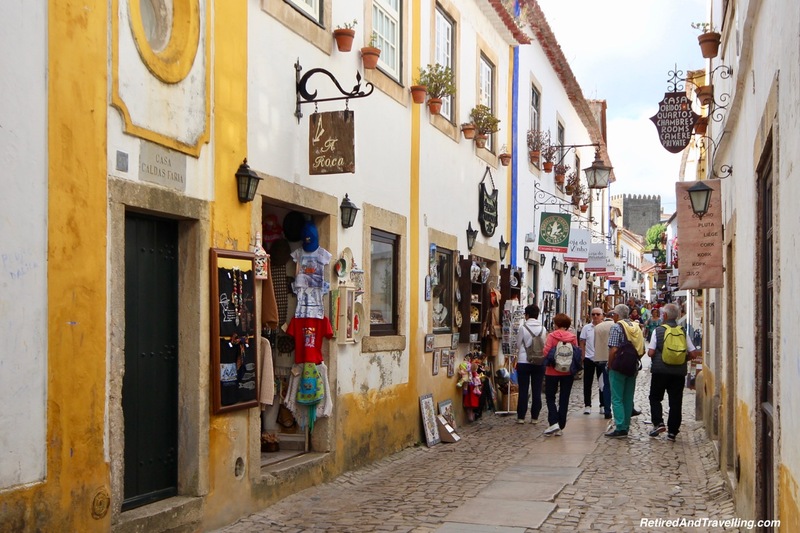 But when we drove from Porto to Lisbon, we loved the chance to visit some of the smaller towns. 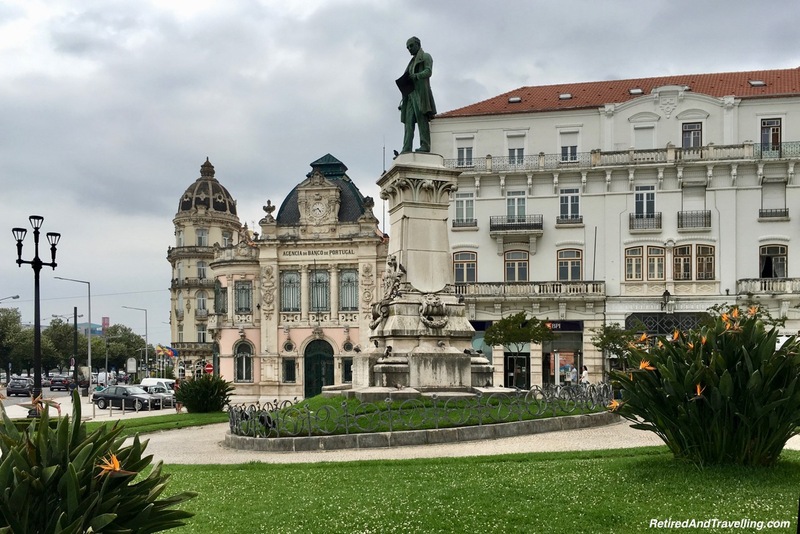 A stop in the university town of Coimbra showed us a smaller town. We wandered the streets to find the local spots. And were delighted when we visited Portugal Dos Pequenitos. This was a small amusement area filled with tiny replicas of spots in Portugal. And all of the various spots around the world that Portugal once controlled. 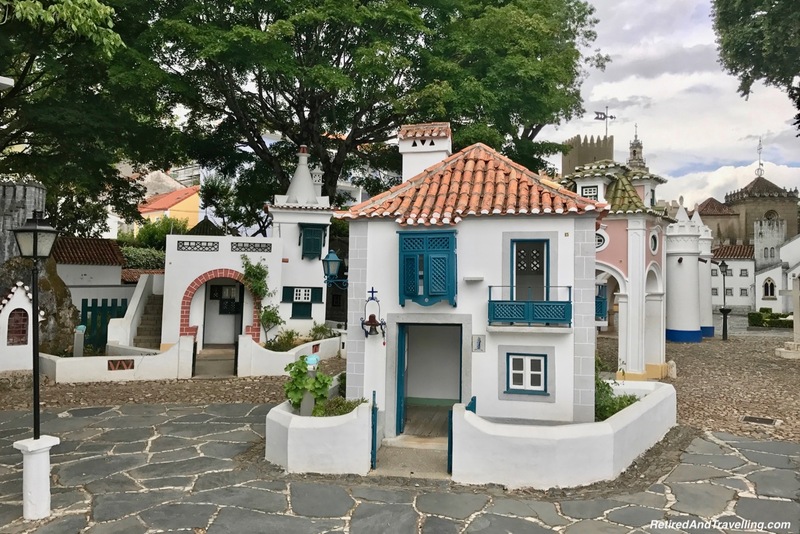 While it was set up for children and included a playground, we found it fascinating to see the detail in the replicas of many places we visited in Portugal. 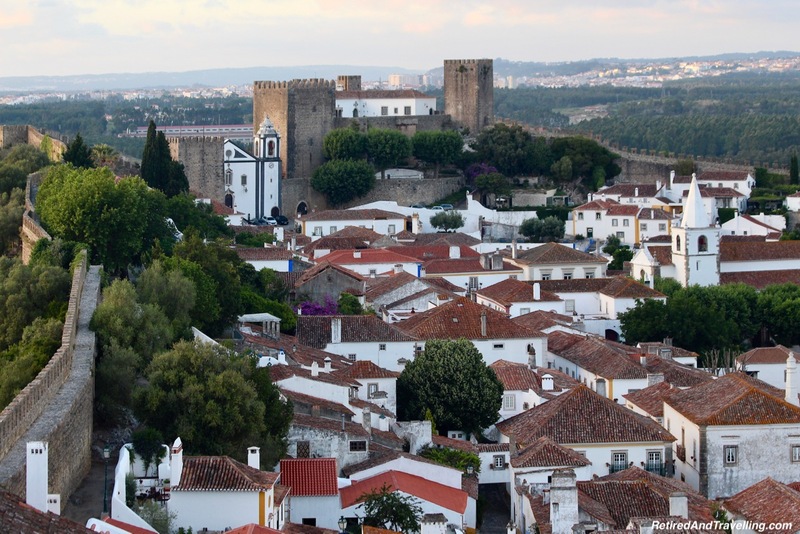 A long stop let us stay within the walls of the town of Obidos. It was a charming small town to enjoy. We walked on the walls of the city and got the greatest view out over the town and the countryside. Small fishing villages like Nazaré were great day trips. 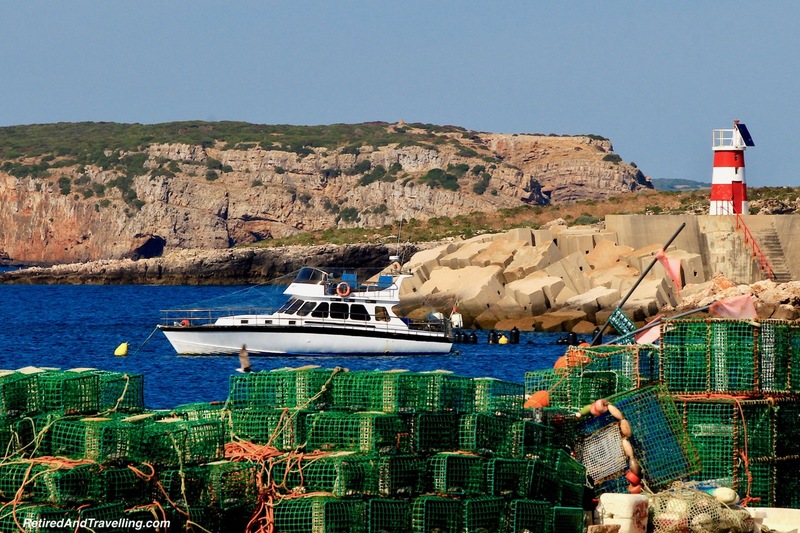 Long sand beaches sat beside small towns with great seafood and interesting sights. 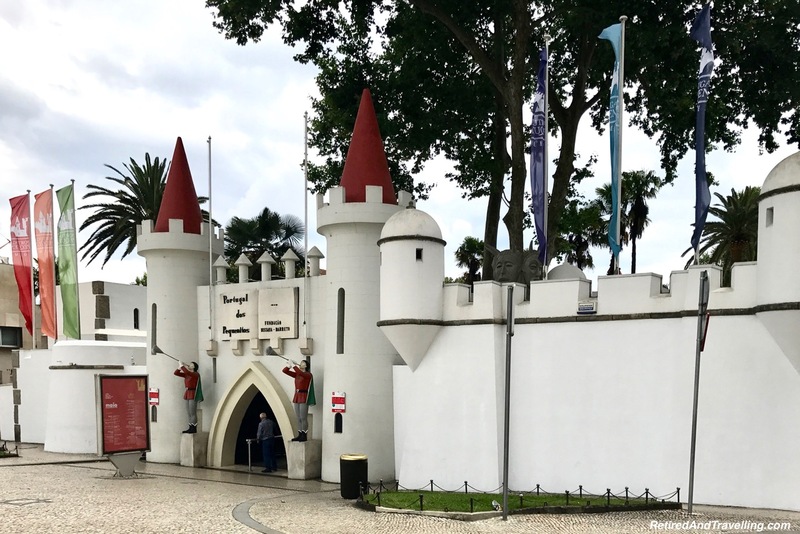 We enjoyed the chance to see some of the smaller towns on our 4 weeks in Portugal. For many, this is one of the reasons to love Portugal. It gave us a chance to really meet the locals. And often, escape the crowds. We were sorry we missed visiting the Alicante area of Portugal. There were some lovely small towns that are on our list for a next visit. 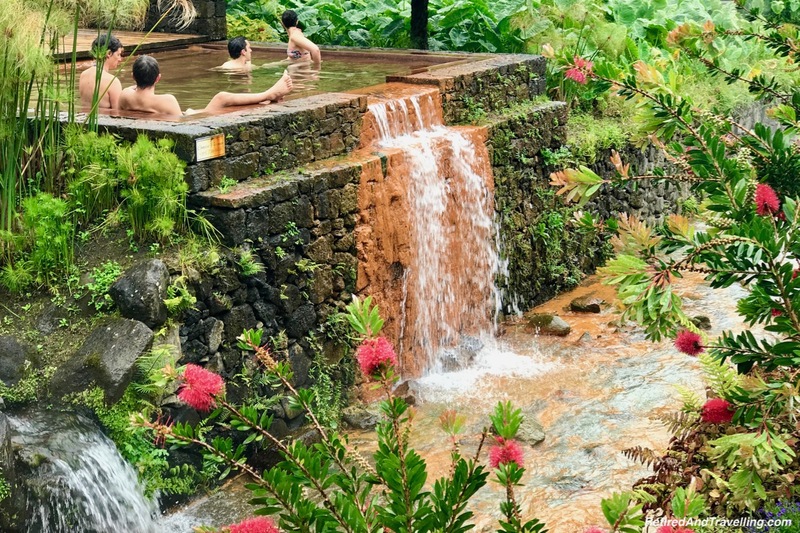 We were teased with amazing images of the Azores before we visited. 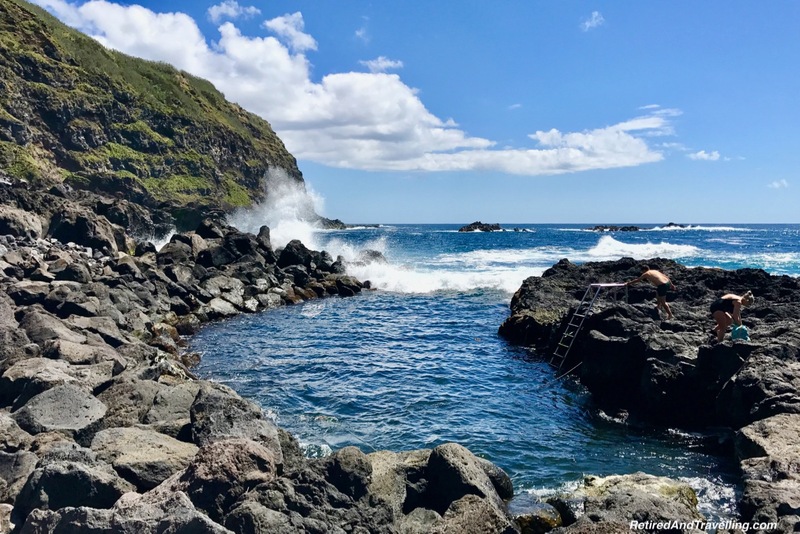 When we visited the Azores for 10 days, we got to see only 3 of the 9 islands of the Azores. But that was enough to ensure we will go back. Each of the islands were so different. And each lovely in its own right. These volcanic islands have the greatest natural sights to see. 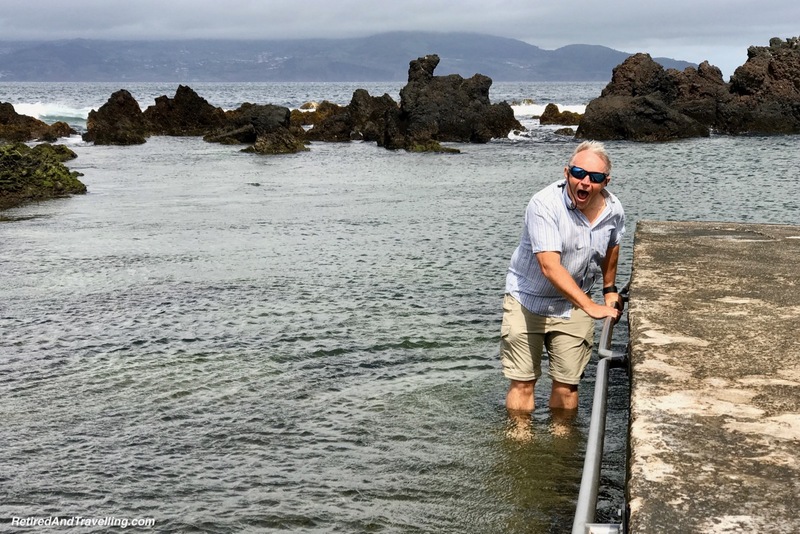 On Sao Miguel, we enjoyed several day trips to visit the calderas and hot springs. When we headed high in the hills, we got the most amazing views. 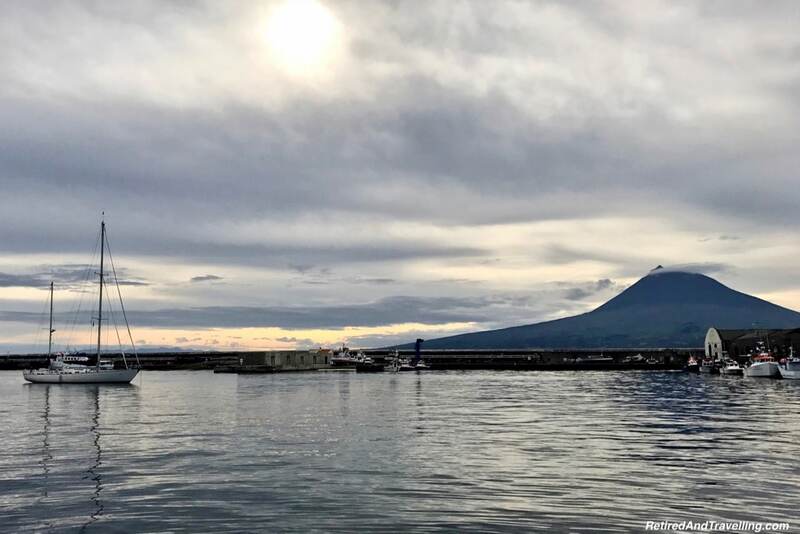 Pico Island is dominated by Mount Pico. The volcanic beaches are stunning. And the rich volcanic soils are great for wine making. 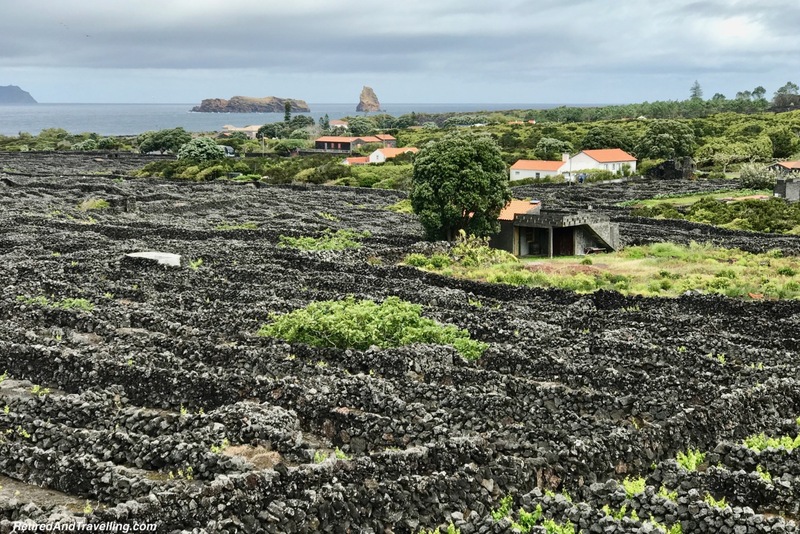 We stayed on Faial Island and did several tours of this beautiful island. We saw giant green dormant calderas. And rough rock calderas of more recent eruptions. Everywhere we went the scenery was stunning. Several of the islands offer whale watching. 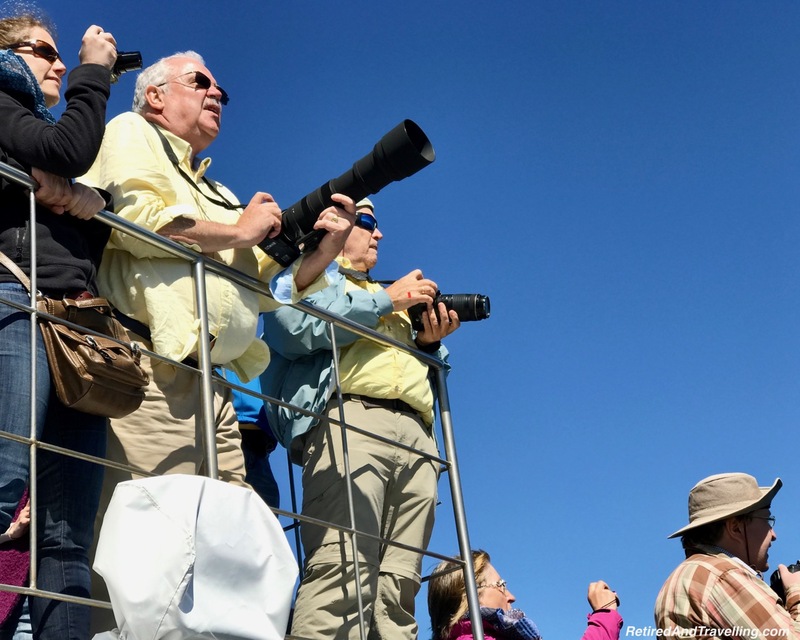 We did our whale watching trip from Sao Miguel. 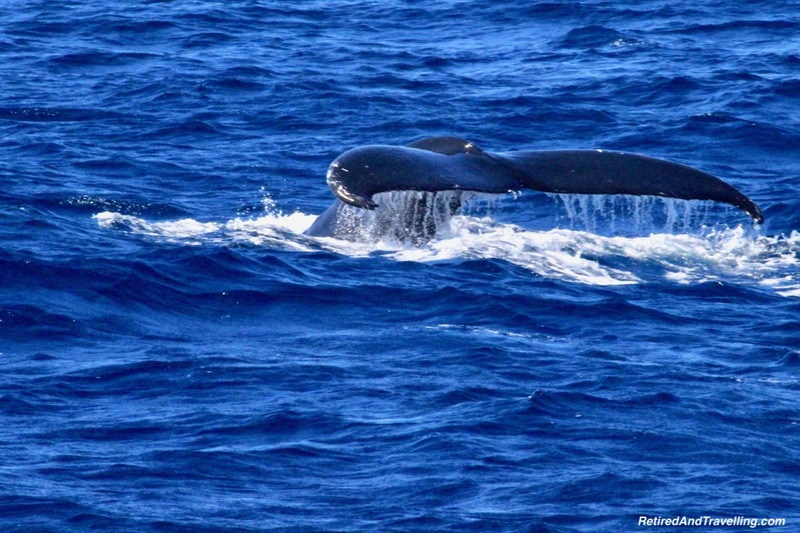 But we also found whale watching on Faial and Pico Islands. The late spring was a great time to catch the migrating whales. 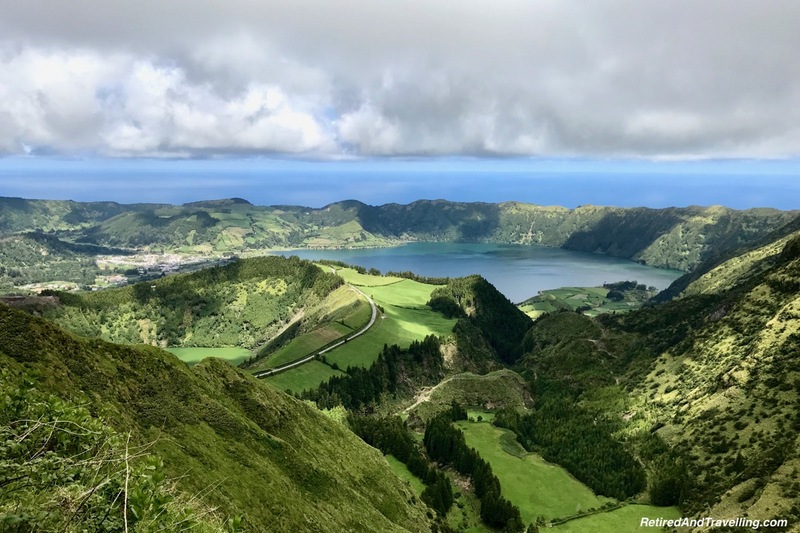 The awesome beauty of the Azores remains one of our top reasons to love Portugal. If you want to escape the cities, this is the place. There are many islands to choose from. From some of the islands, you can do day trips to others. And on every island you will find something just a little different to love. A great choice for our 4 weeks in Portugal. 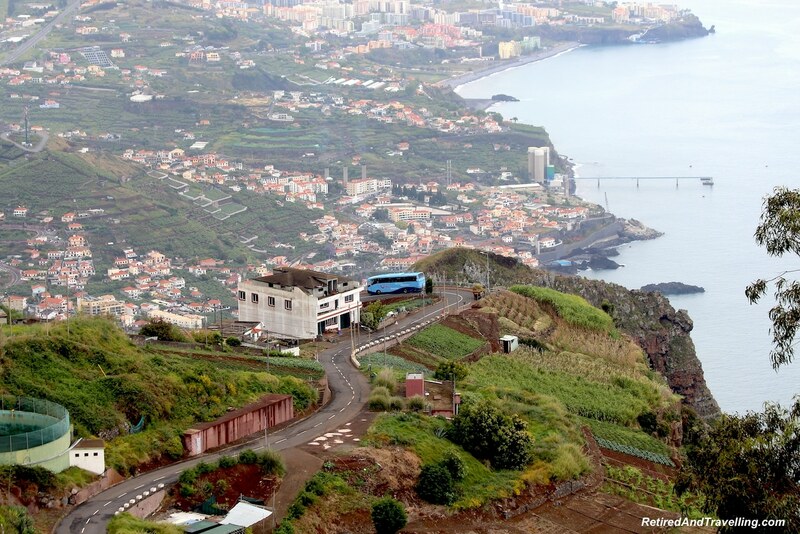 No discussion about reasons to love Portugal is complete without talking about Madeira. 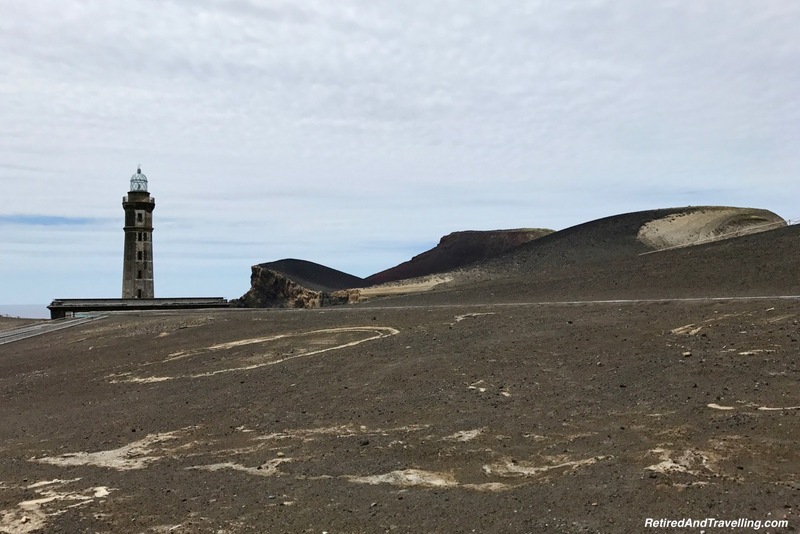 This small island in the North Atlantic may be confused with being part of the Canary Islands. 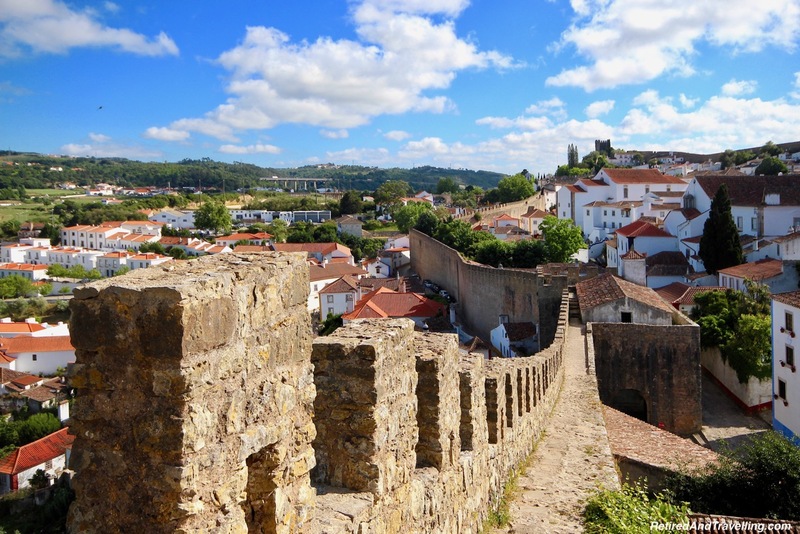 But it is definitely a Portuguese stronghold. 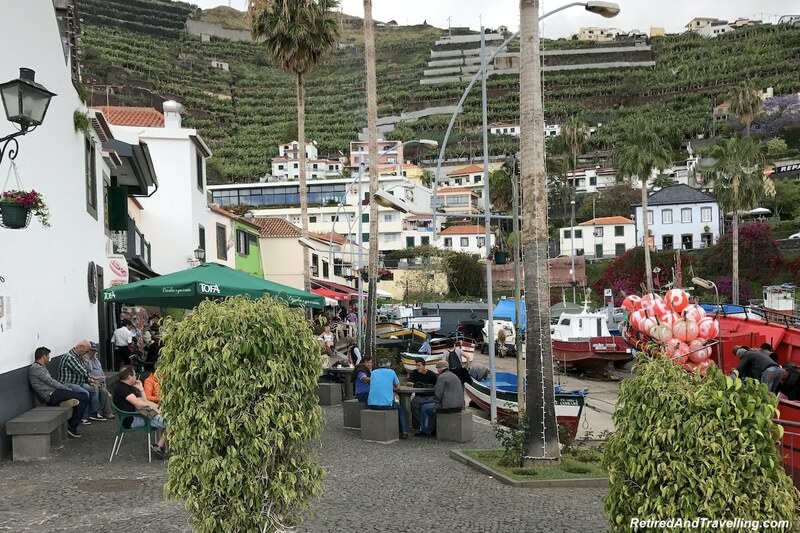 We only got to visit Madeira for one day when we did our trans-Atlantic cruise. But it was our first taste test of what our 4 weeks in Portugal might be like. 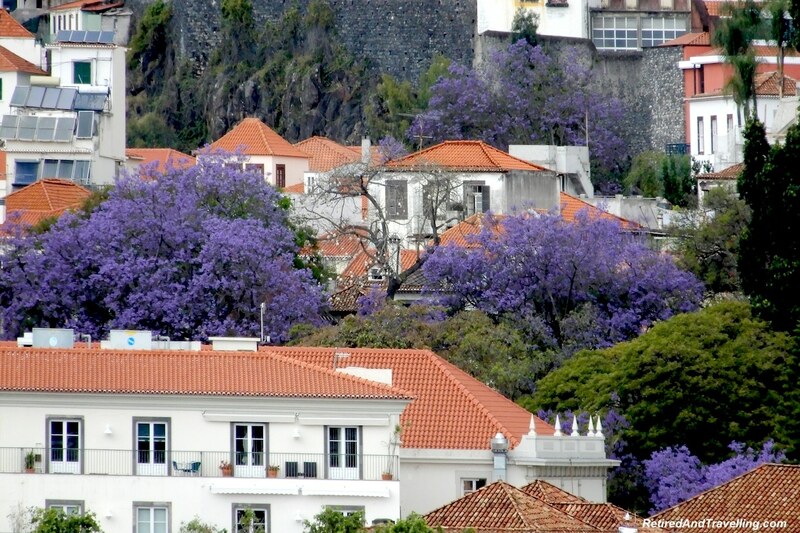 Beautiful purple Jacaranda trees lined the streets. Hills and valleys drew us from village to village. Stunning panoramic viewpoints showed us the sea. We loved our short stop in Madeira. It gave us a first view of the reasons to love Portugal. It is an easy flight from southern Europe. So a great getaway spot for many. 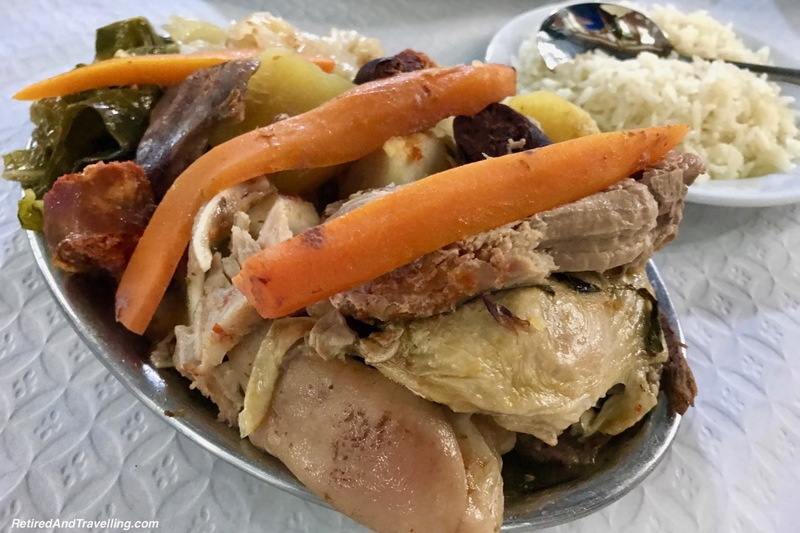 I wrote a blog post or two that talked about the food and drink of Portugal. We ate so well in every place we stayed during our 4 weeks in Portugal. 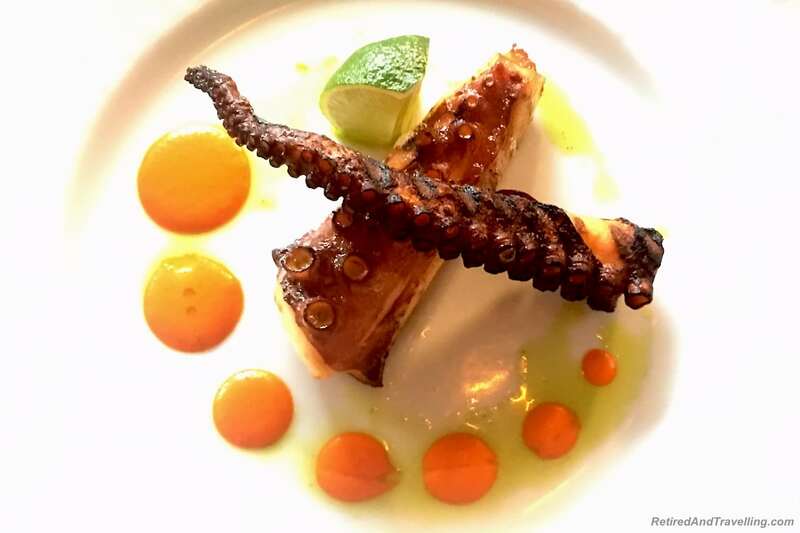 As seafood fans, we could not get enough. 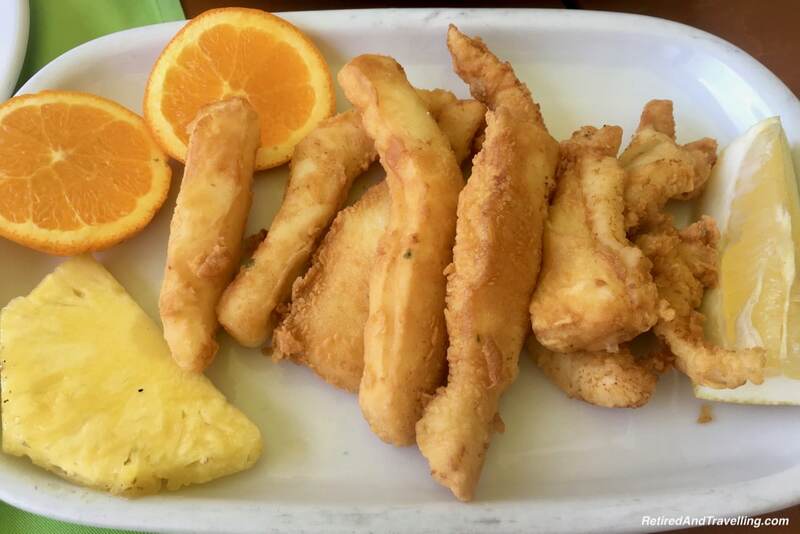 We made special stops for Choco Frito (the best fried cuttlefish) in Setubal. 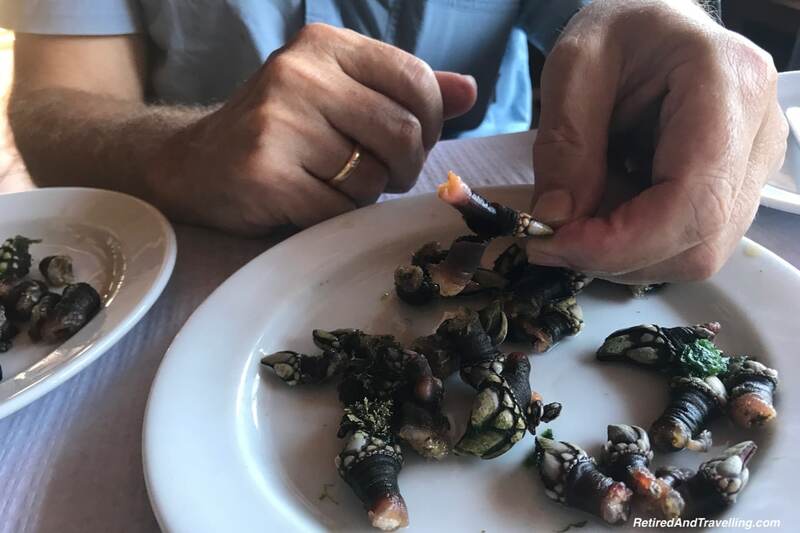 And made sure to try the “perceves” (goose neck clams) when we travelled along the Atlantic shore. 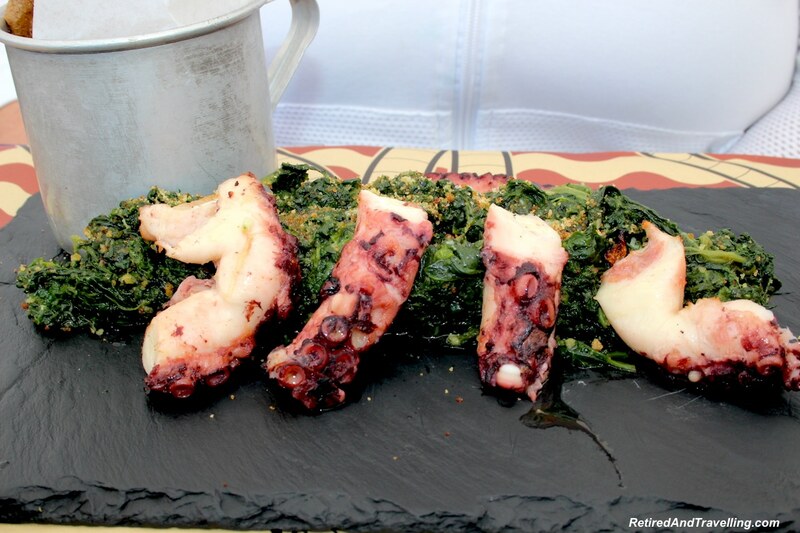 I loved the octopus (pulpo) so much that I was sure I would grow and extra arm before we left Portugal. You cannot visit Portugal without having a custard tart. We tried them in several places to know what we were looking for. 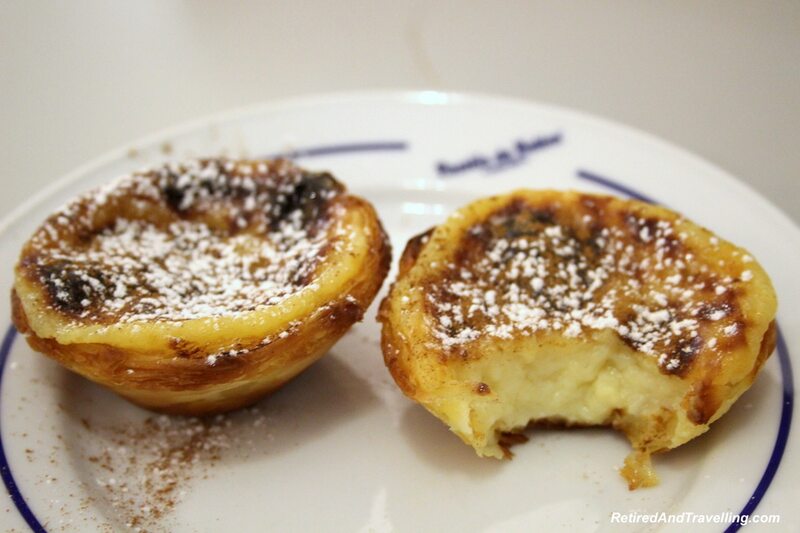 But when you visit Lisbon, don’t miss out on a visit to the Pasteis de Belem. This is the place where the infamous Portuguese custard tarts were first made. While it may seem to be a very touristy thing to do, the tarts are delicious. We loved when we found local specialties. 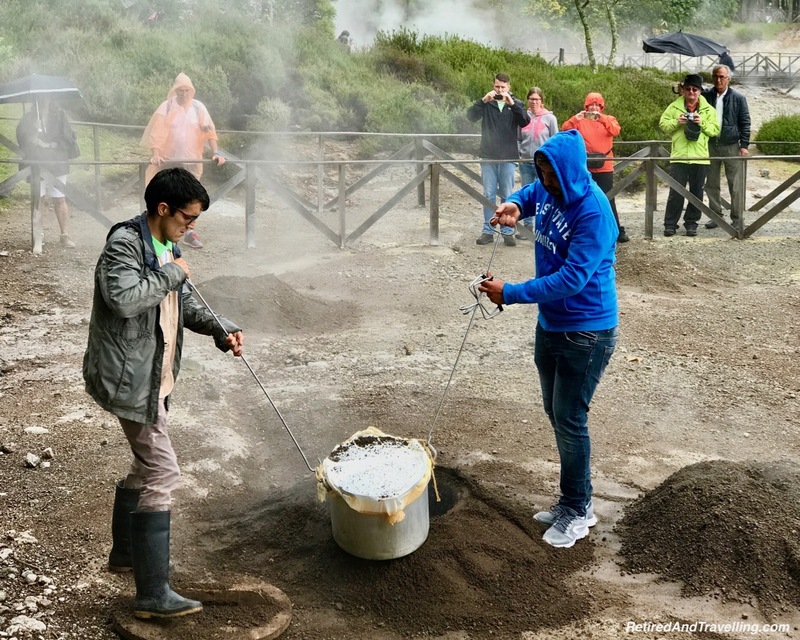 In the Azores we were delighted when we could try the Caldera Stew. 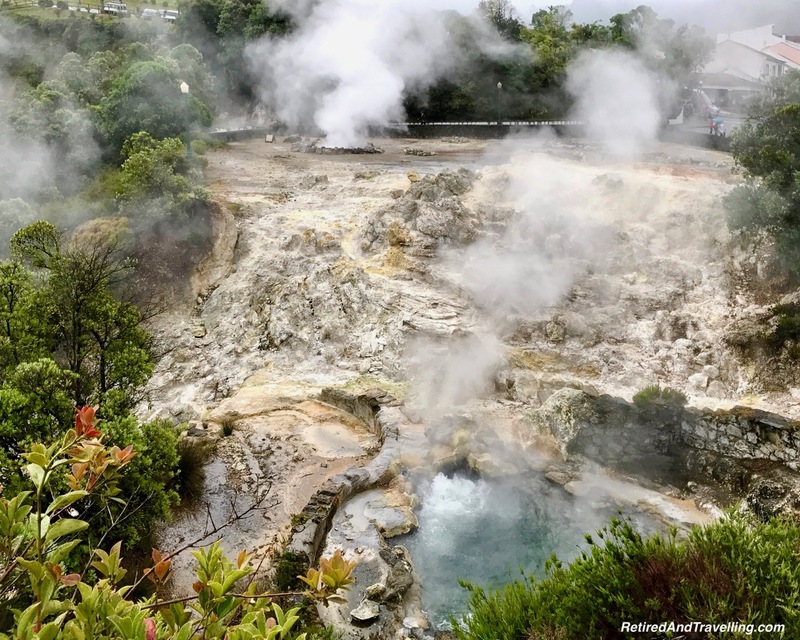 Large pots of meat and veggies are cooked for over 4 hours in the caldera steam. Such a great treat. 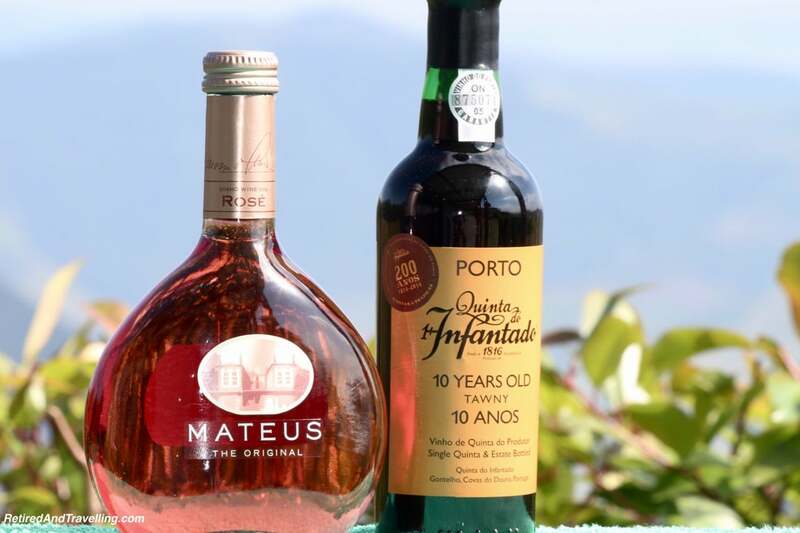 The port wine in Porto is not to be missed. We tried it at several restaurants. 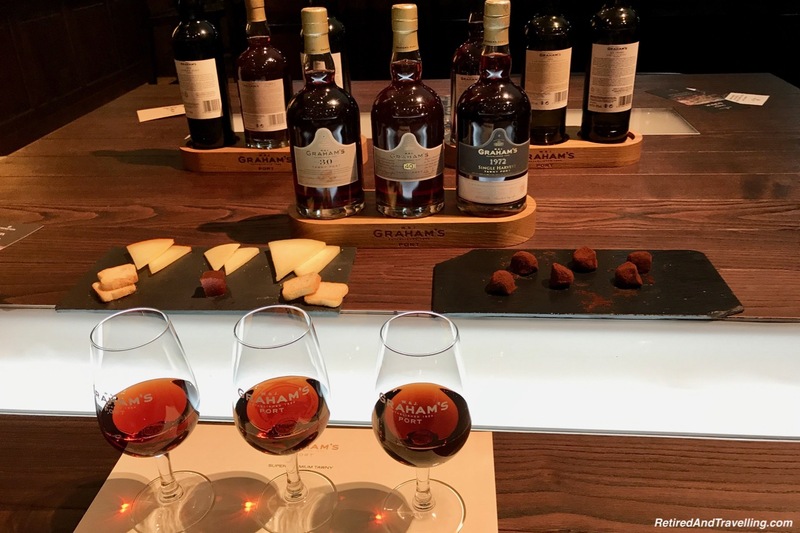 But we really got spoiled when we did a port and chocolate tasting at Graham’s Port Lodge. 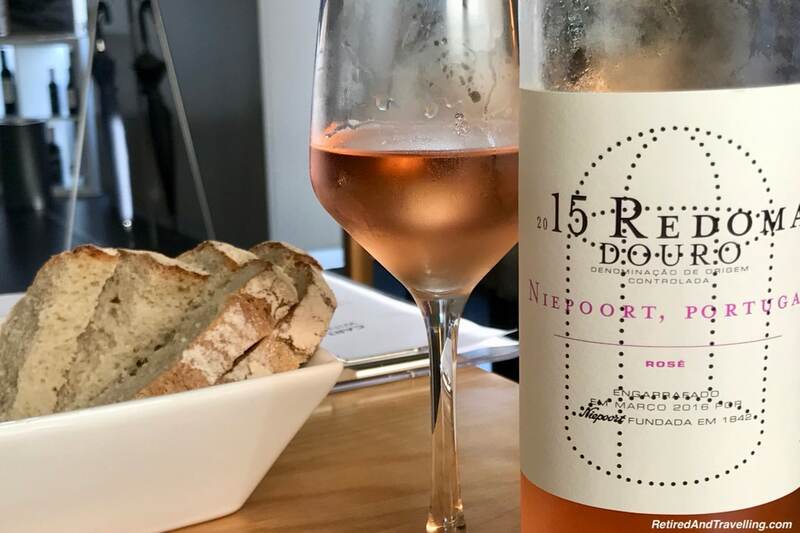 While port is the most famous wine in Portugal, we found lots of wine to love when we stayed in the Douro River Valley. 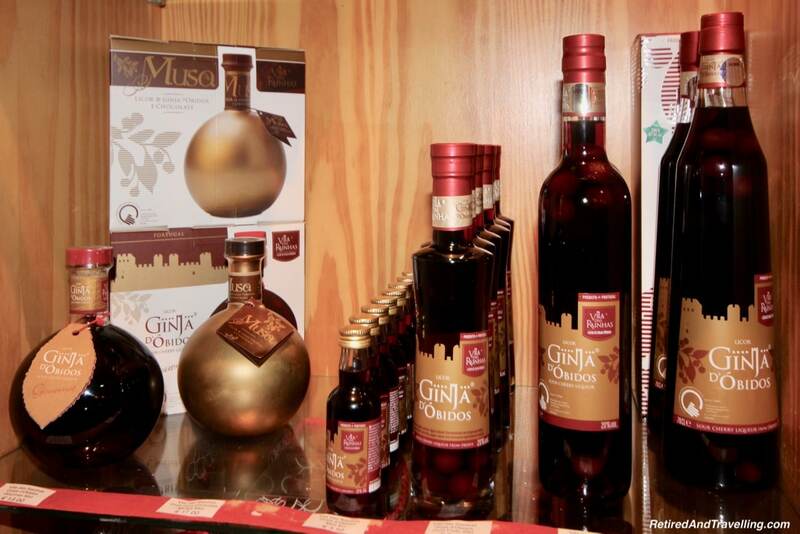 We specifically waited for our stay in Obidos, to try the local cherry liqueur Ginga. 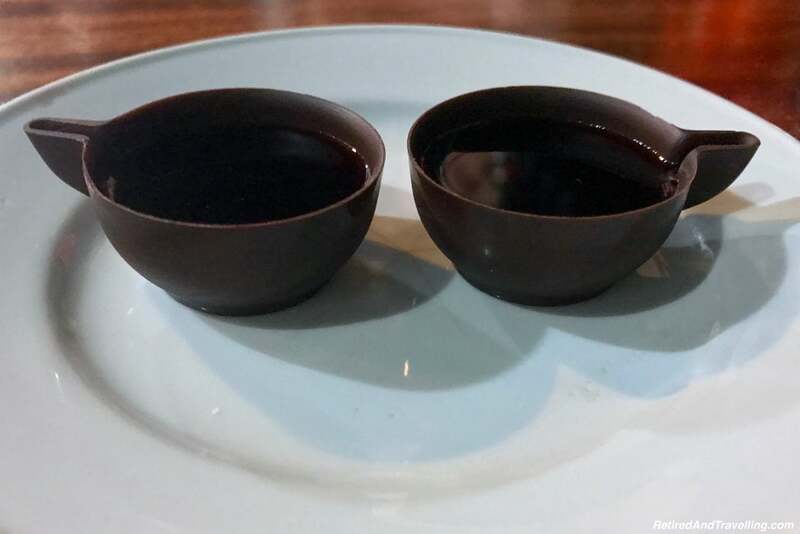 We loved it served in dark chocolate cups. Or from the cellars of local restaurants that had been making it forever. I could go on and on about the food and drink of Portugal. It is absolutely one of the reasons to love Portugal. 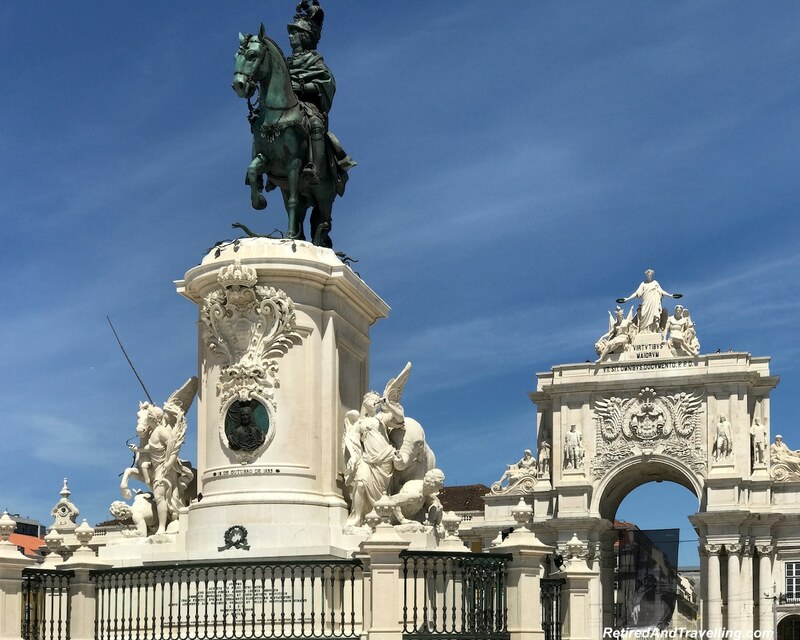 We could not finish this post without commenting on how much we loved the Portuguese people. In the big cities, most people spoke enough English to be able to have simple conversations. In the small towns, we got by with pointing. The little bit of Portuguese we learned didn’t help much. But whether no matter how well we could communicate, we found the people to be smiling and helpful. And we were amazed at the love they had for their country. It was not the blind patriotism you find in some countries. But rather a genuine desire to share their country. And an absolute delight when they found out how much we had visited. And how much we loved Portugal. 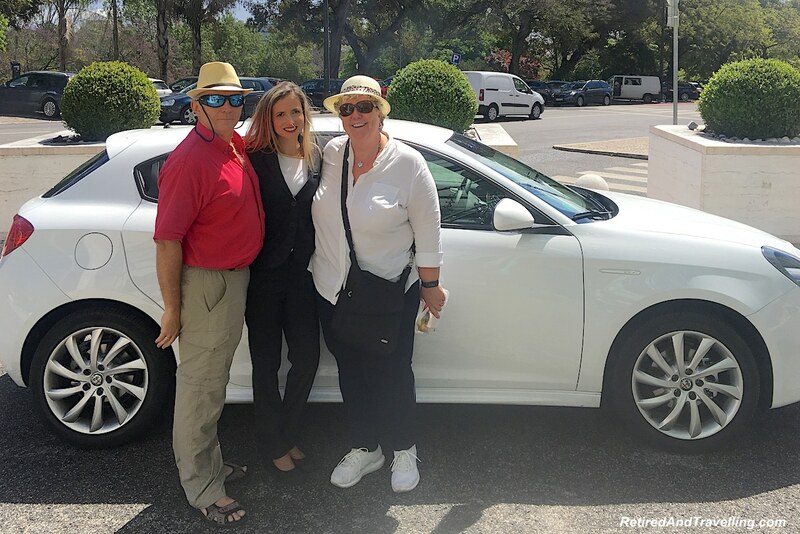 The great customer service and welcoming people are one of the reasons we loved our 4 weeks in Portugal. We could keep coming up with more and more reasons to love Portugal. 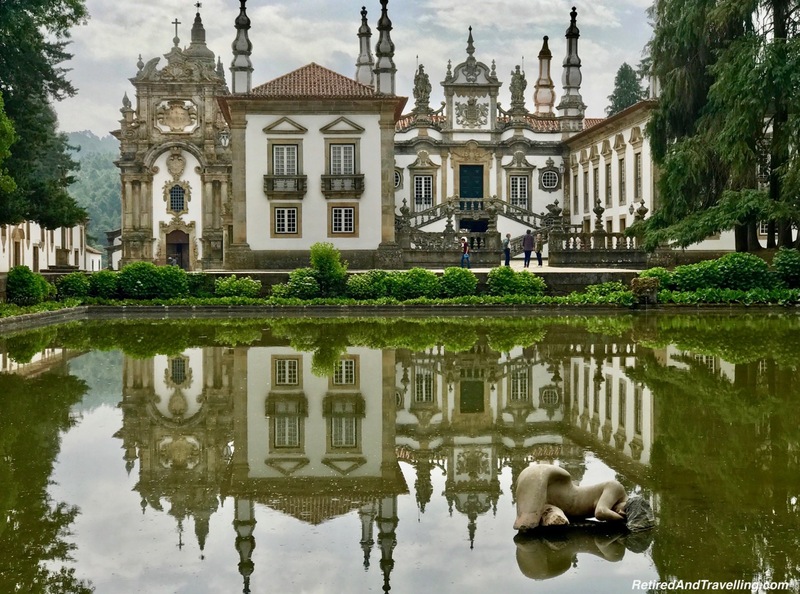 By now, you must know how much we enjoyed Lisbon, Porto, the small towns, beaches and natural beauty of the Azores. Every spot we visited was so different from the next. But each had so much to love. We spent 4 weeks in Portugal. And it was not enough time. It is a good thing that we are happy to plan a return visit. 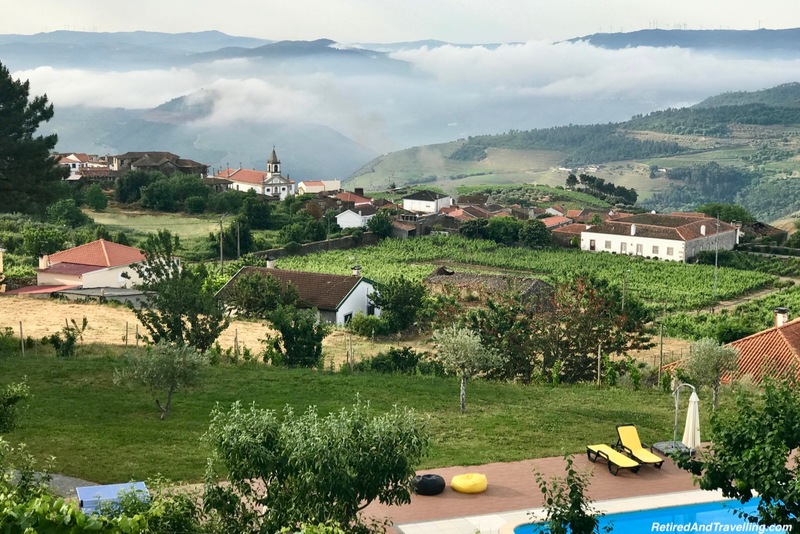 Did you love our view of our 4 weeks in Portugal? Did we miss something that we must try on a return visit? I love how colorful and bright Portugal is. I have seen sand statues before but nothing like that. I love the surf break too. My surfing buddy spend a month on the coast there and he said it was epic. Maybe dope. I don’t know. He’s way cooler than I am. Portugal looks like a fantastic country to visit. 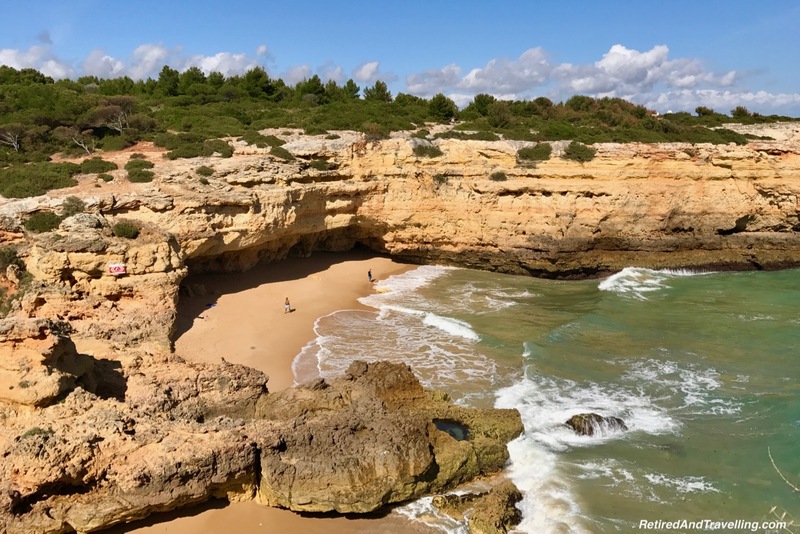 Those photos you took of The Algarve shows off how stunning the coastline actually is. With its combination of historic attractions and wonderful scenery, I think I need to visit soon. I love the challenge of travelling through small towns where people don’t speak English as it makes it so much more fun to try to communicate. Wow! I totally loved going through your journey of Portugal here and a lot of this brought back some great memories. I agree, four weeks is not enough. 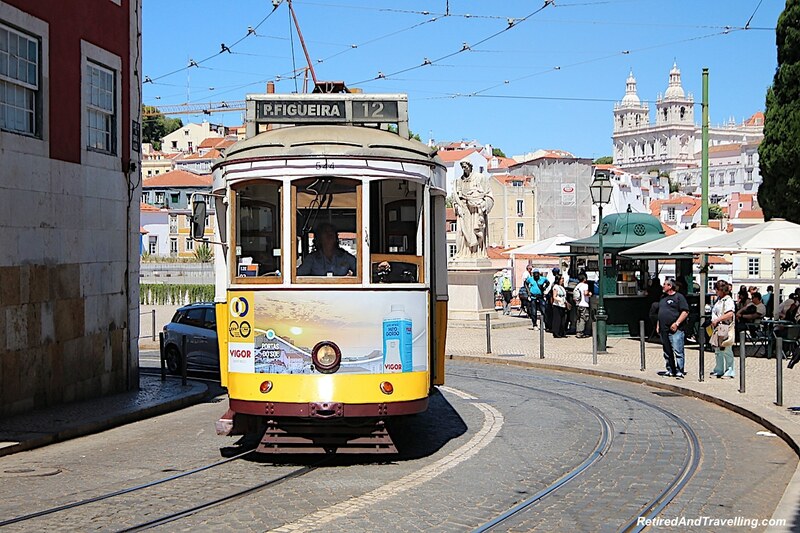 And the other thing I like about the country is that Porto and Lisbon are two of my favourite European cities. 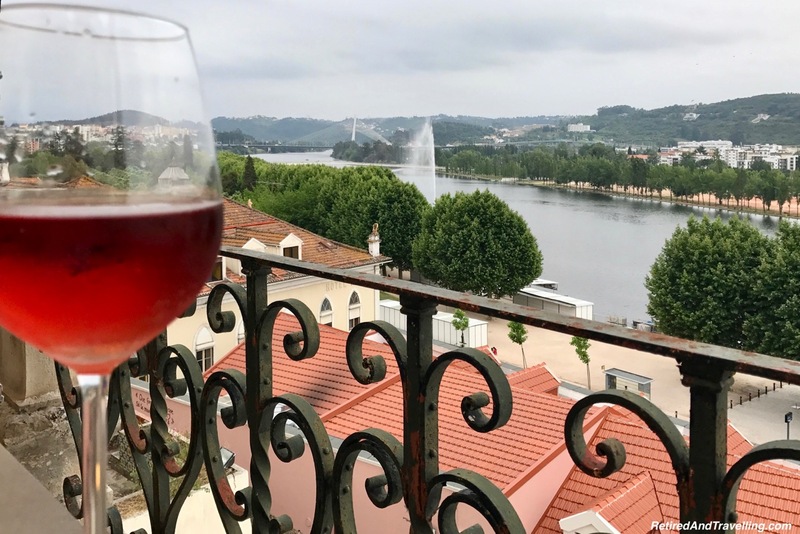 So much different to other cities in Europe and they have there own culture, vibe and of course, drink 🙂 Love the Port in Porto but also the wine in the valleys nearby. I am glad you included Portuguese people as one of the reasons to love Portugal. I haven’t traveled to Portugal yet but I have met many great Portuguese people on my travels. They were super nice and I can’t wait to visit their amazing country. Your post approved the same! I totally agree!! Portugal is one of my favorite countries! There’s just so many things to do!! I would live in Libon if there’s a chance! Loved your photos. Portugal, especially the Algave is on my list, it’s been popping up a lot so I might have to push it closer to the top. 🙂 OMG, Pico Island looks stunning! 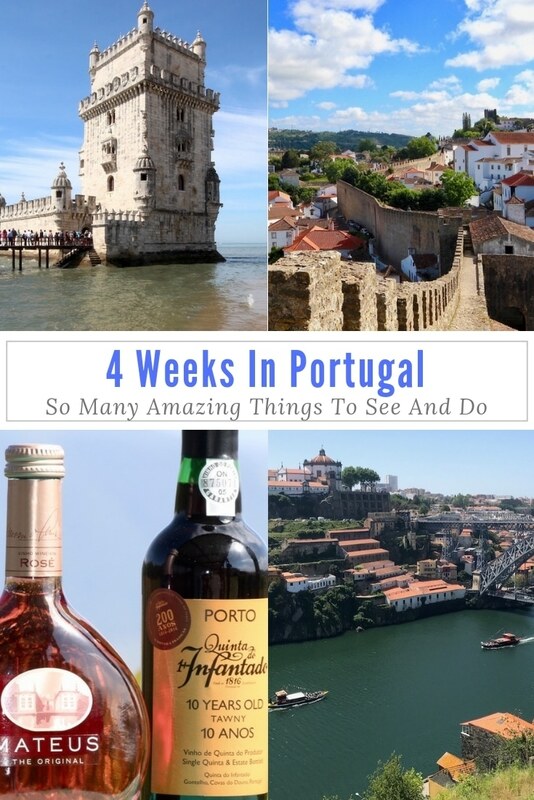 I would adore spending a full month exploring Portugal! How lucky you were to visit cities and then spend time on the beaches (except that one spot.) The food sounds wonderful of course and I’m a big seafood fan. Love hearing that people are nice – they get so many visitors and must take all that attention in stride. Amazing photos! And the architecture is stunning! 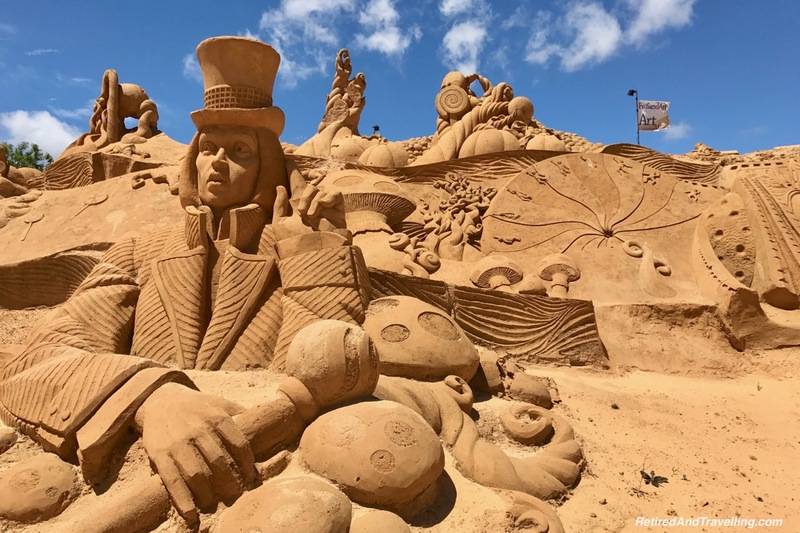 I don’t which is more impressive, the aged castles or the ephemeral sand creations! Both are amazing feats of engineering and skill. My wife loves seafood and Portuguese tarts! I’m glad you had four weeks to fit all of these amazing adventures in! Thanks for sharing! I spent most of January in Portugal and I agree with you, it was not enough time!! I loved Lisbon, and Porto although was a little rougher around the edges it was still beautiful. And omg the food was all incredible! !